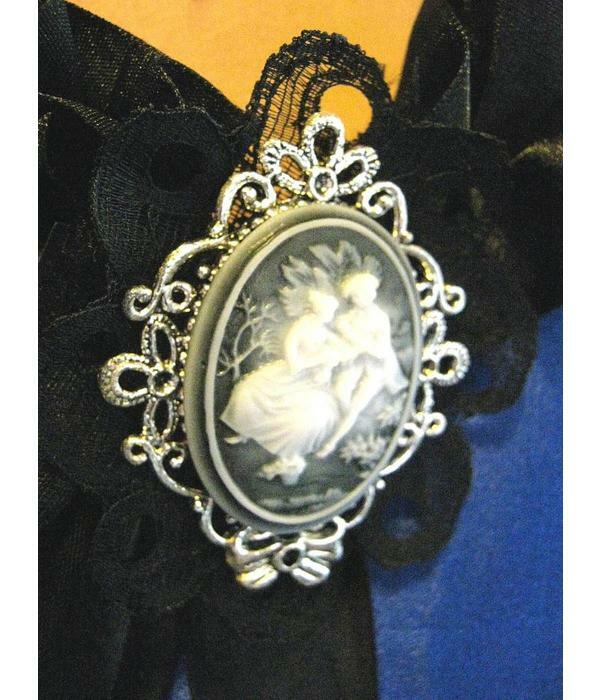 Large cameo clip with a couple in love "Goth Romance" with silver setting on black lace decoration - attached to a professional metal hair clip for very strong hold (minimum hair length: 5 cm/ 2 inches). 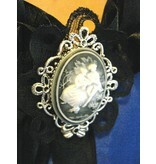 Our Goth hair jewelry clips are gorgeous litte eye-catchers for every day, steampunk & Goth look and for costuming! Magic Tribal Hair exclusively uses strong, professional hair clips which provide very strong hold. Moreover these clips do not have any teeth, so they can be worn on all fabrics without pulling threads. 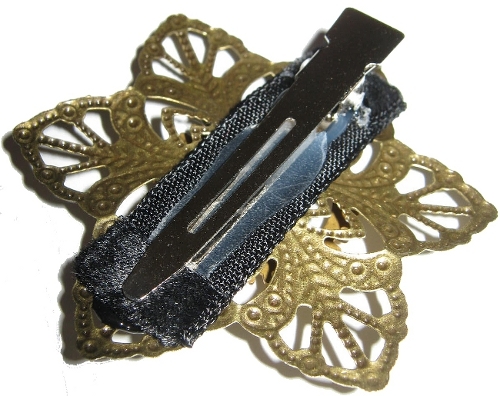 This means you can wear all our hair clips as shoe clips, brooches on a collar or shoulder strap, as bag clip and even on flat jewelry like larger earrings and flat rings as well - Goth & steampunk hair clips by Magic Tribal Hair are many in one items! 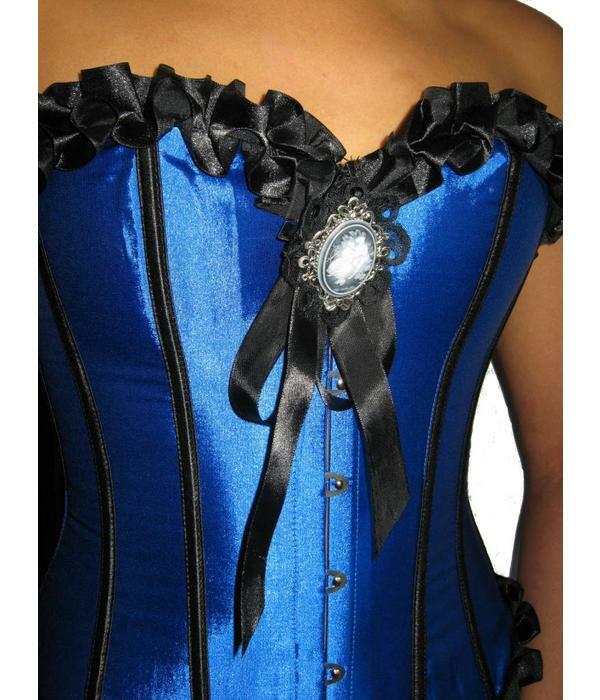 And last but not least, the clip is always entirely covered by the decoration, so it does not shine through, see the picture below for details. 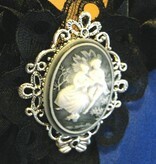 All Goth & steampunk hair jewelry is hand-made to order. I'm in love with this clip. It's heavy and solid- top quality, although my hair is too fine to hold its weight (entirely my hair's fault!) 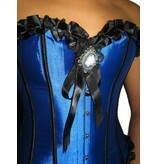 it looks especially amazing as the centrepiece of a bodice or choker. I intend to try it again in my hair, as it should hold better with different styles, or nestled among falls. Note from Melanie at Magic Tribal Hair: Hi Bev, thank you for your great review! 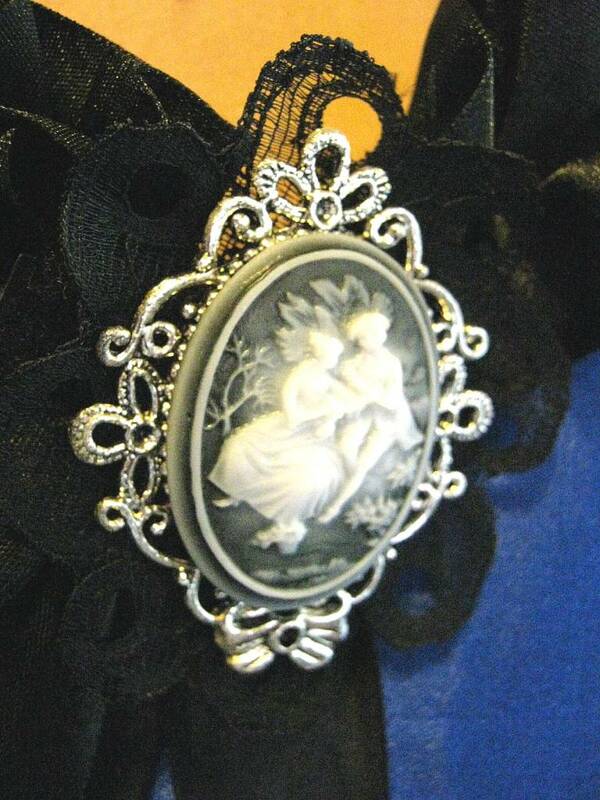 You are right, these cameo hair clips are my heaviest hair jewelry and they often need additional support when worn as hair jewelry. This can be a headband you clip them onto or as you already assumed with different hair styles - all put-up styles and ponytail styles will work, because the hair jewelry cannot be pulled down by its weight in these styles. That is why I show them with these hair styles only in the item pictures, but I see that I should definitely add this as a note in the item description as well, so it becomes completely obvious. Thank you for pointing that out!